Our Mission Statement: Our goal is to provide quality landscape services in Raleigh, though skilled employees, safety awareness, and environmentally friendly techniques. Through our knowledge and experience, we will be able to develop professional relationships with our clients that are built on honest business principles. Hicks Landscape Contractors is fully insured, and offers many residential and commercial landscaping services throughout Raleigh & Rocky Mount, NC, including lawn design and layouts, and hardscape design. 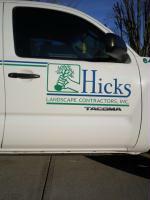 Hicks Landscaping is also excited to offer custom designed and installed water drainage, irrigation & lighting systems. We can also create elegant walkways and patios, a perfect complement to any home. Hicks Landscaping is pleased to offer various professional lawn maintenance services as well. We provide mowing, pruning, and leaf cleanup and removal services, as well as many popular floriculture and pest management options. 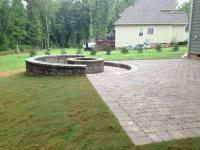 Please contact us to schedule your on-site landscaping project evaluation!